This city fascinates me, it has an abundance of culture. This is after all the city that has all the greatest masterpieces known in the western world. If you are art enthusiast, this is THE place to be. 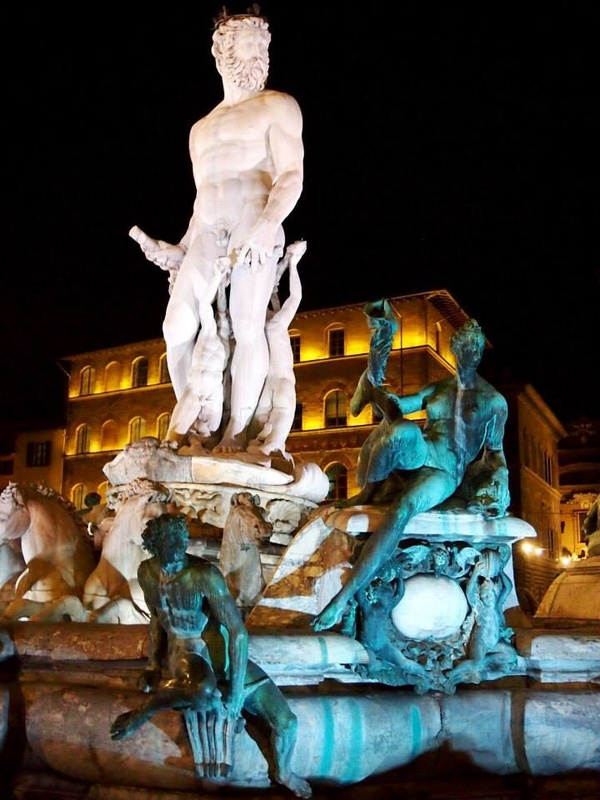 There is so much to see, however we chose to see Michelangelo’s statue of David at the Galleria dell’Accademia. I have just one thing to say about this famous piece of art…. It is worth the Long queue, the pricey tickets and the annoying mass of people. It is absolutely stunning!! Another favorite was the Sandro Botticellis (Uffizi Gallery) – “The Birth of Venus”, which depicts a beautiful girl with long, flowing hair floating away on a clam shell. This painting was swarmed with people and it was a battle to get an opening space to stand and enjoy the masterpiece. We gave up the museums after this, it was too too crowded everywhere. 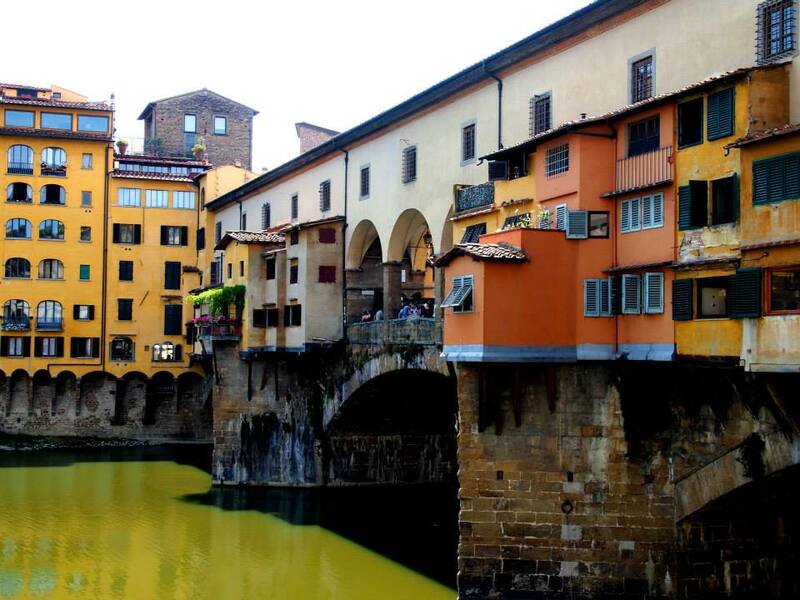 Avoid Florence during the high tourist season…June, July, August. We were there end of July, which we will not do again. When in the old part of central, visit ‘Trattoria 4 leoni‘ for late, late lunch they have very good authentic Florentine dishes. ‘Obika mozzerella bar‘ is a nice trendy spot for lunch and wine. 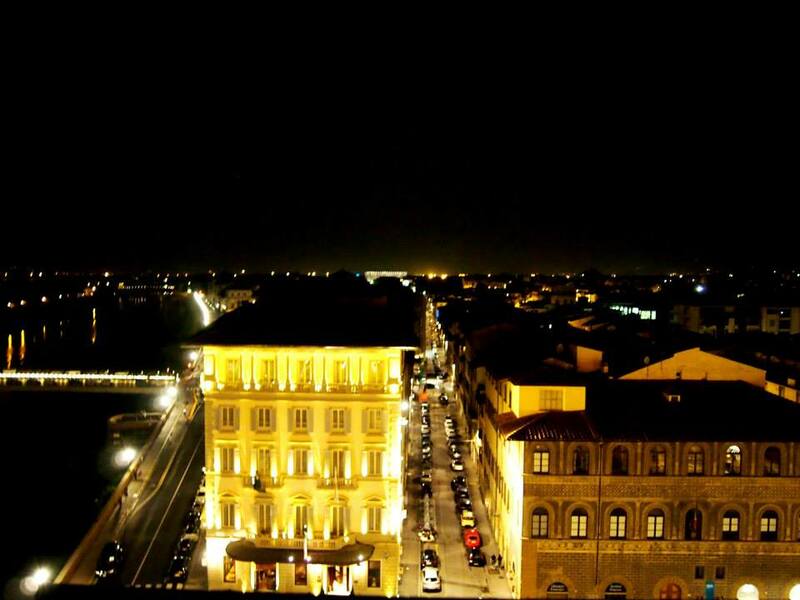 Florence is best in the evening, less tourists, and more locals. The night lights set a mood in the city. Restaurants don’t open until 7ish in the evening. We had dinner at an authentic Restaurant called ‘Le Fonticine’ which looks a bit dodgy from the outside, but lovely when inside. The meals are good, the atmosphere relaxed with many locals. The interior, cozy. The dessert is not that good though. After a lot of Florentine food, we were in the mood for something else. ‘Via dei Bensi’ is a street/area with bars and hidden restaurant gems. We found a Korean restaurant – ‘Kome’, a trendy spot. You can have korean barbeque there, which is quite fun. If passing by the gelato chain ‘Venchi’, make sure you drop in for some very good gelato. For view over city – try the roof bar at the ‘Westin Excelesior’ hotel and ‘Continental la terazza’. For night clubbing, ‘Flo lounge’ was good, popular place. Bear in mind that it is a summer hot spot. So not sure how it is other than the summer time. There is a fashionable dresscode, make sure you are not turned away at the door. Good idea to be there before midnight to avoid looooong queue. Warning – avoid Barberino outlet. Total waste of time for us.